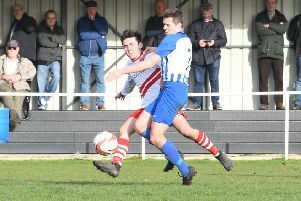 Skegness Town were edged out 1-0 at Swallownest. Martyn Bunce and Nathan Collins’s side were undone by a 14th-minute penalty, which sees them go four games without a point or goal on their travels. The Lilywhites also had Callum Robinson dismissed in a game where they just couldn’t convert their chances.